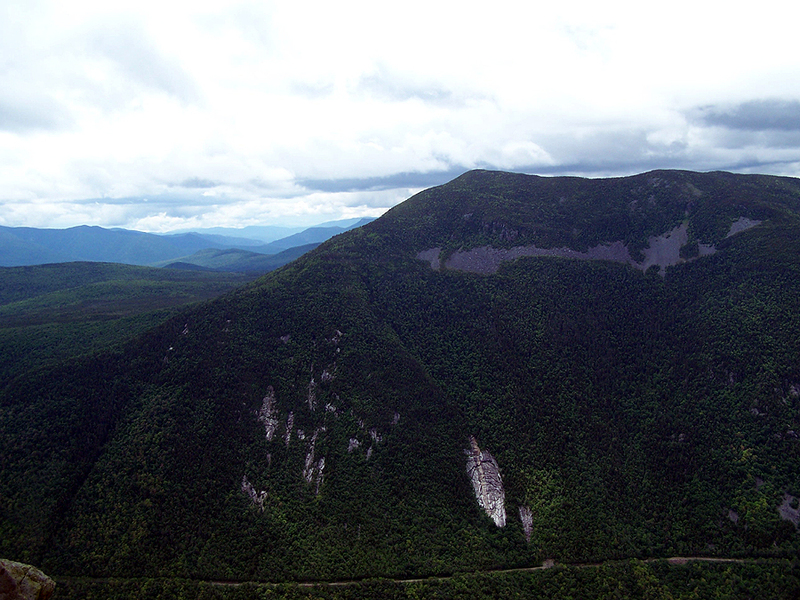 Mount Willey along with Mount Tom and Field are located int he heart of Crawford Notch. Mount Willey is a wooded and viewless summit but there is a very good outlook just past the summit. -Kendron Flume, Ethan Pond, Willey Range: 2.4 miles, elevation gain of 2,750 feet. The trails have moderate grades until hooking onto the Willey Range Trail. From here the trail becomes rougher and very steep as it makes its way up through ladder steps. -Avalon Trail, Willey Range Trail: 4.2 miles, elevation gain of 2,700 feet with easy to moderate grades with ok to rough footing with one steep section just past the A-Z trail junction beneath the summit spur of Mount Avalon.